Born in 1931, just north of Gee’s Bend, AL, Lucy Mingo grew up picking crops, cooking for her family, and walking four miles to and from school each day. She worked many jobs through the years, all the while raising 10 children. In 1965, she joined Dr. Martin Luther King Jr. on a march to Selma and became one of Gee’s Bend’s leading spokespersons during the civil rights era. 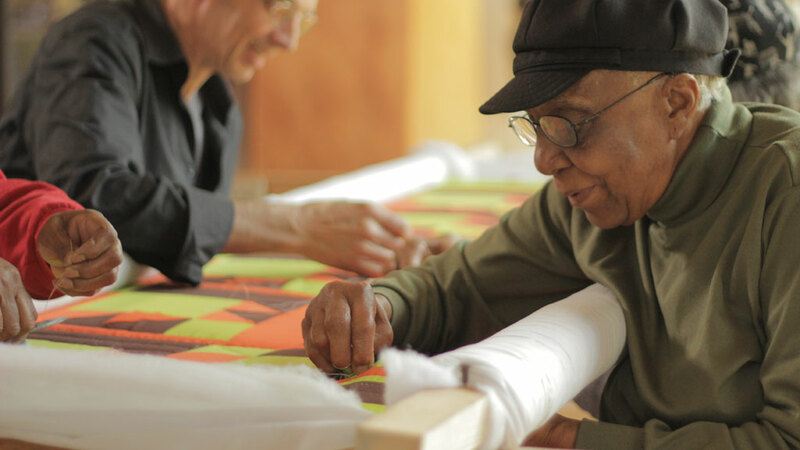 Descending from several generations of quiltmakers, she learned to quilt at an early age and today at age 83 is considered one of the finest second generation Gee’s Bend quilters. It looks like they have songs to them. You could tell stories about this piece, you could tell stories about that piece…They have songs to them. 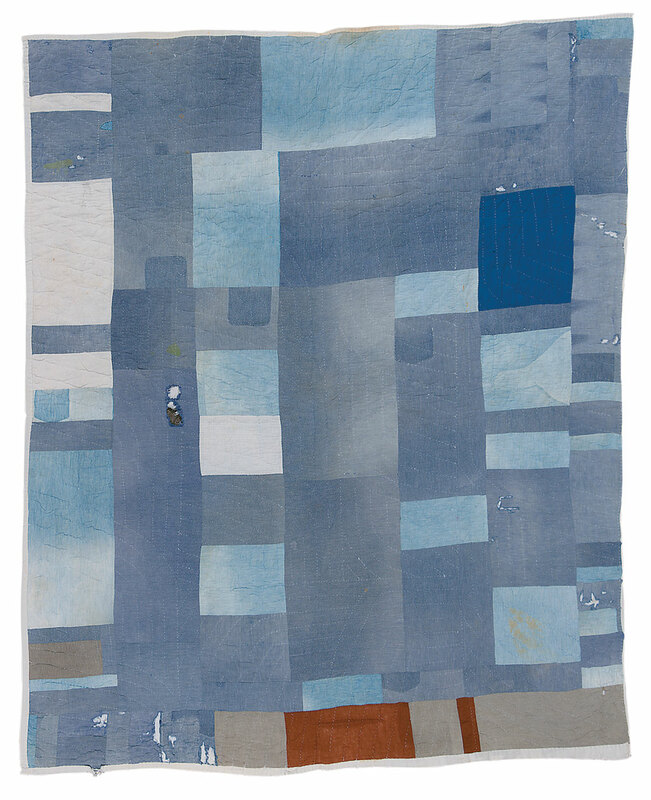 Lucy Mingo, Blocks and Strips work-clothes quilt, Courtesy of Souls Grown Deep Foundation, Stephen Pitkin photograph.